Why Gel Packs for Surgery Recovery? Cryotherapy, or Cold Therapy, is beneficial during the initial stage of recovery immediately post surgery (the first 24-48 hours). Using a Cool Jaw Soft-sided Round Gel Pack, (approximately twenty minutes at a time,) constricts local blood vessels and decreases tissue temperature. This constriction decreases blood flow and cell metabolism, which can limit hemorrhage and cell death in an acute traumatic injury. This aids in faster healing , and a decrease in pain and swelling and an increase in lymphatic drainage. Soft-sided feature a cloth surface that shields the skin from direct contact with the frozen pack. 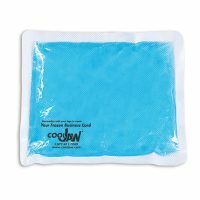 T-430 Cool Jaw Soft-sided Round Gel Pack – 4” Dia. 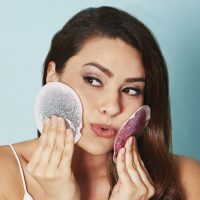 T-440 Cool Jaw Soft-sided Round Gel Pack – 6” Dia. Copyright 2018 Medico International Inc.